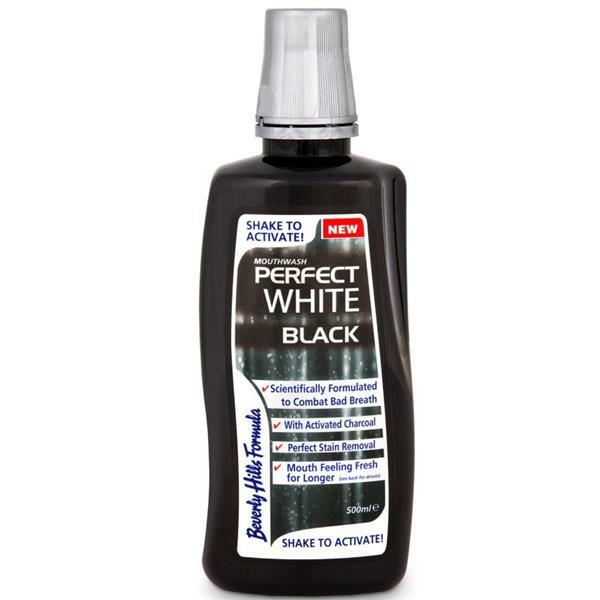 Beverly Hills Formula Perfect White Black Mouthwash has been scientifically proven to combat bad breath while helping you achieve whiter teeth. This odourless mouthwash has been formulated using activated charcoal and pure carbon that has been used for centuries as a method of whitening teeth. Shake well before use to activate. To open, squeeze both finger pads and turn cap. Pour a capful 20ml and rinse thoroughly for 30 seconds.